It is always a good time in Pagudpud, a beautiful coastal town and resort area in Ilocos Norte, Philippines. Both local and foreign tourists flock to this paradise that is very similar to Boracay, but is situated in Northern Luzon, Philippines. #1 - Casa Victoria Beach Resort: A very reasonable and pleasant accommodation with a beachfront and pristine white sand. Known for excellent customer service. #2 - Palm Grove Saud Holiday Complex: Their hotel rooms are designed with amenities meant for comfort, convenience and pleasure to suit your needs. The hotel guest rooms offered are standard rooms, family rooms and superiors rooms which are good from two up to ten persons. It consists from one king size bed which is good for two and multiple beds for our big hotel guest rooms. #3 - Kingfisher Resort: Kingfisher is located in a remote area and away from the commercial beaches. If your looking for a quite and peaceful place, this is an ideal place to go to. It is like a big camping ground. What makes it special here is not the amenities, but the vibe. #4 - Tartaruga’s Hotel and Pagudpud Yacht Club Restaurant: Amazing boutique hotel located very close to the famous white sands of Saud Beach. The European standard guest rooms are large with queen size beds, and each room has a flat screen cable TV and a refrigerator. #5 - Kapuluan Vista Resort: Dare to bare your beach body over at Kapuluan Vista Resort – a white-sand beach that occupies Sitio Baniaran, Barangay Balaoi, Pagudpud. 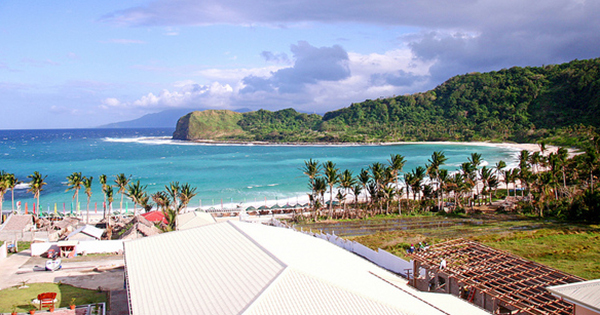 For surfers, snorkelers or simply beach-lovers, Kapuluan Vista Resort promises to be your memorable getaway. This wonderful place is also your gateway to hiking a waterfall, island hopping and diving. But wait, there's more! Delight in their delectable Ilocano dishes, such as Dinuguan and Pinakbet, as you knock on heaven's door for blessings like these to keep you coming back for more.